Stormcloud building began in 2007. Builders include Pulte Homes, Fuller Homes, RayLee Homes, DR Horton Homes, and Express Homes by DR Horton. Floor plans start as small as 1,500+/- square feet and go up to 3,754 square feet! There are two large parks: one, featured in the photo above, is known as sports park and offers a walking track and exercise equipment. The second offers a water feature and playground equipment. Stormcloud also has TWO dog parks! 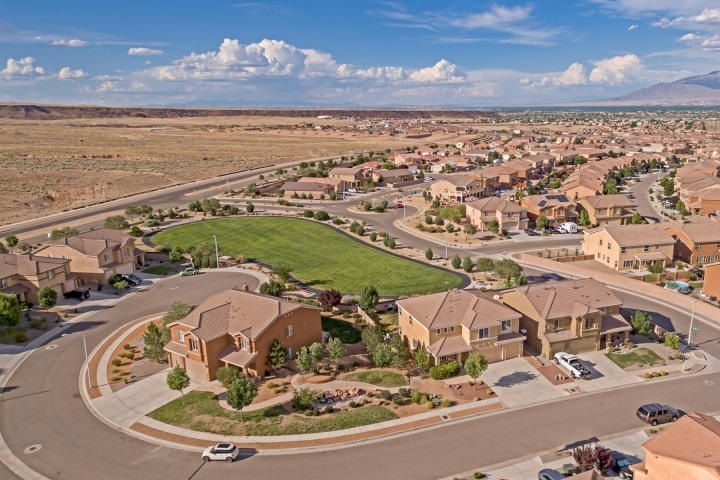 Besides the great resale opportunities (newer homes with today's luxuries), there are three builders offering exciting lot and floor plan options: Pulte Homes, RayLee Homes and Express Homes. Contact us for tips and negotiation strategies; that is what we are here for.